Voices 4 Ability What's your ability? Voices 4 Ability is unique in that it will be a social enterprise, for Connect 4 Life charity, and will have a training centre for introduction to broadcasting for people with disabilities. Our talk radio shows will be on various relevant topics such as accessibility, employment, breaking down barriers, relationships, advocacy, and barrier free living just to name a few. V4A will be a mix of music and talk radio highlighting people and organizations that have made a difference. We will be providing a resource for: people with disabilities & their families, caregivers, service providers, the aging population and so many others. Voices 4 Ability will increase public awareness of our clients and their contribution to their communities along with issues of interest. We will help highlight entertainers, sports professionals, and business professionals, who rose above their challenges focusing on their ABILITIES. The Life Skills Training Program at Connect 4 Life will provide people with disabilities with the tools they need to live a barrier-free life through a variety of methods including workshops, seminars, hands-on training, and the opportunity to build skills-based mentorships. Contact us for more information. 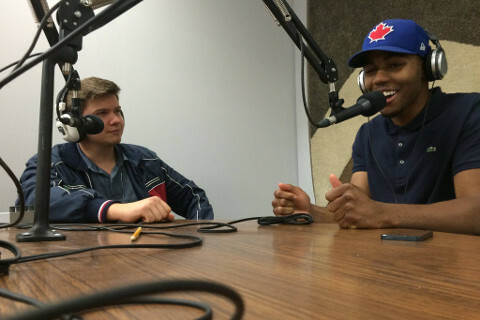 An Accessible Voice in Broadcasting: This six month Radio Broadcast Training Course is unique in that it is the first in Canada designed for people with disabilities. It introduces people with disabilities to basic radio production. They will learn how to operate studio equipment as well as the theory behind it, as well as how to use digital audio editing software. Students will also be introduced to on-air presentation as well as news and sports writing and presentation, and Accessible content. Graduates will also have the opportunity to participate in an internship. Call us right away to find out more! We are currently searching for venues throughout the region of Peel and Toronto area, to expand our training programs. Please keep up with us on our website for more information. Also feel free to contact melanie@connect4life.ca for more information about our programs. A panel where individuals with disabilities and their allies get together to discuss hot disability related topics. Ability Pop is a new show on Voices 4 Ability about entertainment news. We’ll be able to keep you up-to-date on the latest celebrity gossip, your favorite Movies and TV shows, Music Videos and latest music releases. As well as in-depth opinions on the current trends. Hosted by: Brian Nguyen and Lily Wang. Host Melanie Taddeo will interview individuals with all types of disabilities, from all walks of life, who have made a difference in their communittes. She hopes to inspire her audience to also get involved and make a difference in their own communities. If you know of someone that you feel should be interviewed by Melanie, please join the conversation on social media. 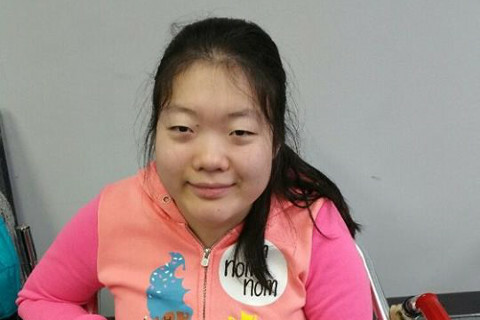 Hello, my name is Lily Wang and I recently graduated from Connect 4 Life's broadcasting program. 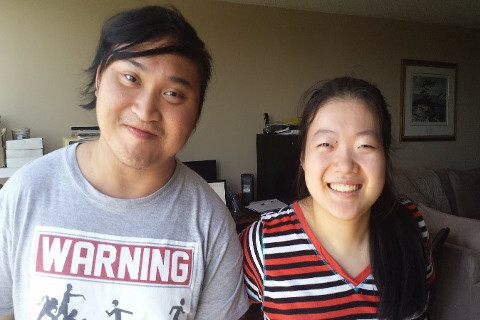 Prior to enrolling at Connect 4 Life, I was a student at Sheridan College and possesses a background in social work. Not only was I able to learn the basics of radio broadcasting through Connect 4 Life's broadcasting program but so much more! I was able to gain tons of valuable hands-on experience and its nurturing and fun environment helped me gain confidence and improve on my skills which allowed me to take a step forward in my life. Connect 4 Life also gave me amazing mentors and role models which I felt I never had in my life before. Their guidance has helped me greatly and allowed me to grow into a better version of myself. The broadcasting program has also made me more aware of what's happening around the world and around myself. I feel this has made me a more well-rounded and knowledgeable person and I'm no longer stuck inside my own little world. Without this program I would never have gotten the knowledge or confidence to get me to where I am today as a writer and researcher intern at Voices 4 Ability. In my free time, I'm usually playing catch-up with my never ending list of books and TV shows or surfing the web looking for the next cool fact to learn. I believe that learning is lifelong and there are new things to discover every single day. I never thought I would be a good radio broadcaster, however Connect 4 Life helped me discover the radio broadcaster within myself. Join Connect 4 Life's broadcasting program today to discover the radio broadcaster within yourself! Meet one of our many clients that your donation can assist in obtaining the training they deserve. Mark is a 47 year old single father of two who was in a car accident that left him as a quadriplegic. Mark is trying to obtain training to start a new career he can excel in and make money to put his 25-year-old daughter through school, and help his 12-year-old son who is hard of hearing get the services he requires to gain fulfilling education and life skills. 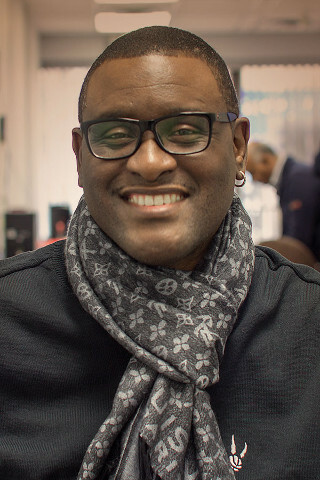 When asked how the Broadcast Training Program and Connect 4 Life help him, Mark said, “After the accident I suffered from severe depression and anxiety, I didn’t’ go out or socialize. During that time, I isolated myself from friends, family, and the life I knew before. On Alt/Rock Overload, you'll be getting a healthy dose of rock and alternative-genre music, from classic nineties bands all the way to today's songs that you can't get out of your head. And for the music geeks in the crowd, you'll also learn occasional tidbits and trivia about some of the bands and their music. It will Overload your ears! The Accessibility Edge: All you need to know about Inclusive Architectural Design. A monthly ½ hr show on Voices 4 Ability radio show hosted by Thea Kurdi. The Accessibility Edge is a monthly ½ hr show on Voices 4 Ability radio that explores the ins and outs of inclusive architecture and why smart design is always accessible. From the human rights code to evidence based design to increased marketability, the show reveals how accessibility is fundamental to successful architecture. Welcome to The Disability Channel, an international leader in the world of disability/ability issues and solutions. 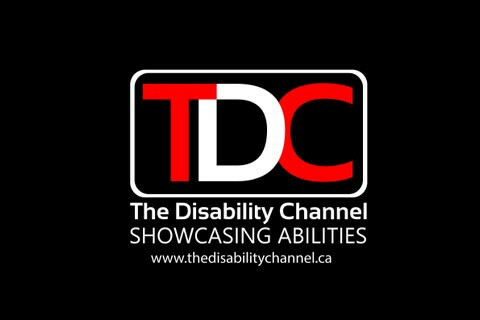 Through due diligence and with many years of experience within the television and advocacy world, TDC has found today’s Canadian and global market desperately needs original programming for and/or by persons with disabilities to be included on the TV programming schedule . TDC, with the proper components in place, including disability employment programs courtesy our partner OWLware. We are prepared to become the leading force on both the domestic and international stages for persons with disabilities and the workforce. We are always looking for volunteers!